There is high pressure on these animals for bait, and in some areas subsistence harvesters sell their catch to tourists. 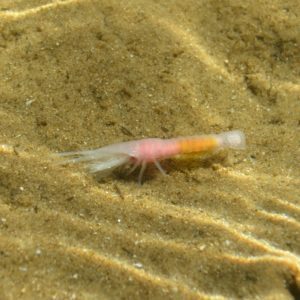 Sand prawn grow to about 6cm, they are sexually mature at this size and live for about 2 years. They breed between May and August and between November and January females carry the eggs on the underside of the abdomen.